Start your hen party in awesome style! Start Your Hen Party in Style! So you’ve just arrived at Barcelona airport, suitcases crammed with the everything you need for a wild hen party… What next?! 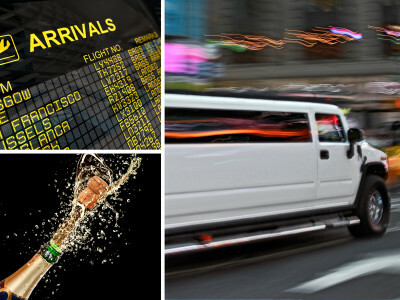 How about being swept off to your accommodation in a luxury hummer, with a bottle of Cava to get the party started? Good plan? We think so too! If you are feeling immediately adventurous, you can add the option to incorporate a photo tour into your journey. The ride will be upgraded to one hour and you will stop at some of Barcelona’s most famous spots. Remember your camera! Location: Barcelona Airport "El Prat"